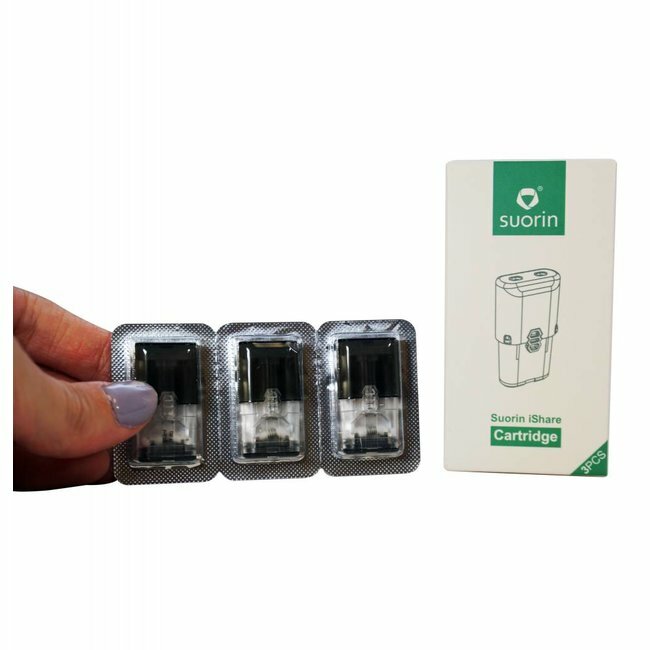 The Suorin iShare AIO Starter Kit is a robust and versatile ultra portable pod system that features an intuitive on-the-go battery bank that holds two Suorin iShare Single devices to utilize your favorite Salt Based Nicotine E-Liquids anywhere you want without worrying about battery life. Much like the Suorin Air or the Suorin Drop Ultra Portable System, the iShare Single is an all in one device with draw activated firing, a magnetic pod system that can hold up to 0.9ml of E-Liquid, an atomizer resistance of 2.0 ohms and a maximum of 9W output. A 130mAh built in battery powers the device while the battery bank holds 1400mAh. The Suorin iShare Ultra Portable System is a simple and convenient all-in-one, ultra portable system that is perfect for users looking for a sleek and all-day vaping device!